"A pipeline is a blackmail zone where the risk of terrorism is ever present", says the economic advisor to the French Embassy in Kazakhstan. Chechnya, for instance, where the Russian found themselves in a bloody war, is a striking example. The Caspian Sea area has every symptom of a region about to explode, just as Yugoslavia did. Its ethnic and religious diversity can become the instrument of a severe conflict if different nations or clans are willing to fight each other for their share. A colossal discovery of oil can suddenly change the geopolitical landscape. 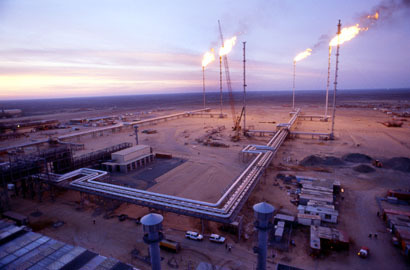 The Azeri site of Shah Deniz, where oil was first discovered, has influenced regional strategy for the oil magnates as well as for the politicians. "The Caspian Sea remains one of the last places in the world with oilfields that havent been fully exploited", confirms Yann Douarin of an oil-related company in Bakou. "But", he continues, "it is still too early to speak of our El Dorado".